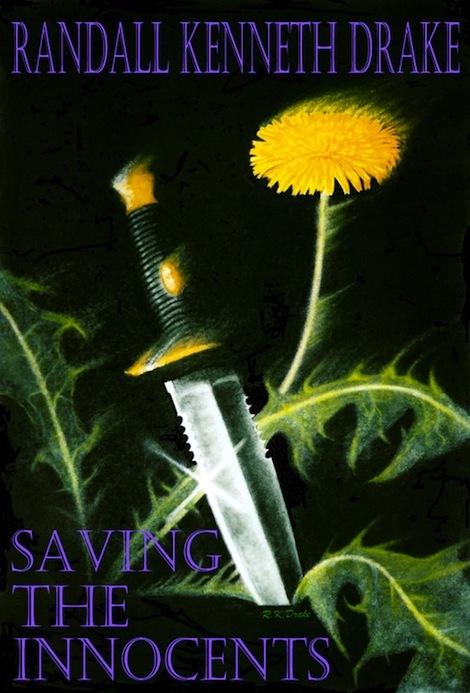 "Dual National Award Winner In The New Adult Genre"
Welcome to the website for Randall Kenneth Drake (RKD), indie author of the New Adult digital novel Saving The Innocents (STI), an Eric Hoffer Award Finalist and Winner in the Global Ebook Awards for the New Adult category. The big hard world holding you down? Get warm and fuzzy with a story that has you feeling powerful at the beginning and loved at the end. Feel the intensity of a new, modern-day knight. Of fiction&apos;s next great heroine. Midwest Book Review&apos;s Diane Donovan wrote, "It&apos;s unusual to find a strong female heroine in a novel, but Mary Jane (Chevalier) IS that heroine." John E. Roper, from The U.S. Review of Books said, "Mary Jane, the heroine of Drake&apos;s gripping digital novel, remains (emotionally) deeply wounded . . . However, instead of being weakened by the experience, she has become stronger." Get inside Mary Jane Chevalier, this new modern-day knight, a character who feels insignificant. Unnoticed. She doesn&apos;t see the internal strength she has deep within. She feels small. She defends the weak. Those who can&apos;t defend themselves. She is: Decisive. Capable. Witty. Curious. Clever. Outspoken. She cares for others. She is filled with empathy. But that&apos;s what gets her into trouble. Below is a short synopsis of the intense suspense, action, mystery, and romance of Saving The Innocents (STI). You can find further details about the story behind the story at the end of the synopsis, in the section entitled WHY STI? (below). It shows you why Saving The Innocents is different from most e-fiction on the internet, and especially how STI is unique. It involves 3 female rock legends, and the story of a little girl. Get immersed in the world of Mary Jane Chevalier, and Saving The Innocents . Mary Jane Chevalier feels invisible, like she doesn’t matter to anyone. Her good deeds seem to go unnoticed, and the voice in her mind, her conscience, won’t stop bugging her. Alone and on her own, she searches for her father. She needs answers . . . why he did what he did. Answers only he can provide. She finds Jack and Sera, an odd man and a little girl, hiding out in a condemned, deserted hotel . . . a pair of innocents in a harsh world. The two are being hunted down because Sera saw something she shouldn’t have . . . something deadly. Hunted, by Edgar Lairdman, an overly-controlling and unstable real estate tycoon with ties to the police and the criminal underworld. 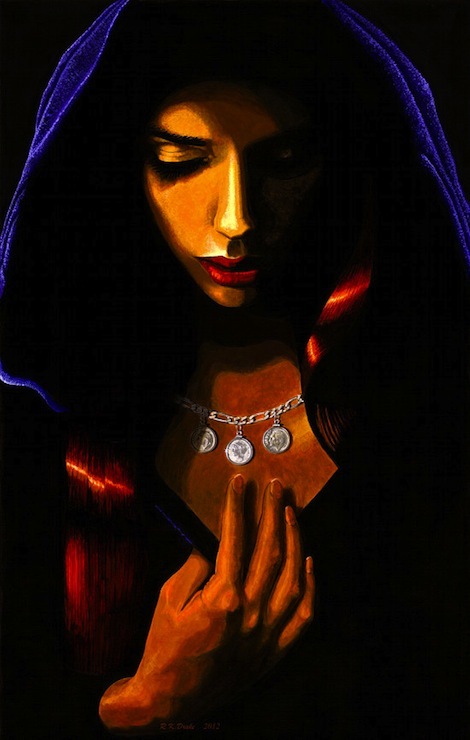 Compelled by a persistent inner voice and her own compassion, somehow Mary Jane must find a way . . .
Now, if you just can&apos;t stand it, can&apos;t wait, and you simply must get inside the character of Mary Jane Chevalier now, here it is. If, on the other hand, you&apos;d like to try STI, but you&apos;d like to do it risk free, here’s the first 4 chapters of Saving The Innocents , FREE (below). Feel free to share these 4 CHAPTERS (PDF) with anyone, family and/or friends, with the author&apos;s compliments. B) the motivation for RKD to tell the story the way in which he does (specifically, what the main character, Mary Jane, has to go through during the course of the story, and what she learns.) The inner story of Mary Jane Chevalier. Here, in the author&apos;s own words, is the story behind the story. We give you RKD. It started, at first, with movies. Every Tuesday, I&apos;d visit my father and we&apos;d go to a movie. Every Tuesday, 52 weeks a year, for 8 years. Toward the end of that stretch, we were having dinner after a particularly bad movie, and the comment came up about the writing. By that time, we&apos;d seen so many movies we both agreed that either of us could&apos;ve done a better job writing a better story (screenplay) than the one we just saw. Shortly after that, as I was on my drive down to visit my grandmother, an image came to my mind while I was listening to a song … Sheryl Crow&apos;s "Maybe That&apos;s Something," from The Globe Sessions . I saw, in my mind for the first time, the main character walking down the street. The scene was so clear I had to pull the car over and write it down or risk an accident. After that initial seed, a flurry of scenes and sequences of scenes (in no particular order) began filling my mind. Lines from characters would come to me in the middle of work, in the middle of a shower, while cooking dinner, or some time during a run. It was like my subconscious had suddenly been uncorked. About half way through this, I became conscious from where the inspiration was coming. On a Saturday night, around midnight/1a.m., I was listening to Sarah McLachlan&apos;s Fumbling Towards Ecstasy , side 1, on a cassette tape (yes, yes. Back in the Stone Age of January 2001, when there were still cassette&apos;s floating around.☺) Suddenly, multiple short, choppy, 5-second scenes started flashing in my mind. I&apos;d learned that when this happens, you go with it. I wrote about 8 or 9 scenes rapidly, then something odd occurred. For no reason in particular, I went downstairs in my apartment, and flipped over the cassette, to side 2. To this day I still can&apos;t tell you why I did it, because I wasn&apos;t finished listening to side 1. As the song "Hold On" began to play, chills ran throughout my body. After that I laughed—uncontrollably—for like a solid minute. Why? Each line in the song was describing each one of the scenes as they were being played out. Like a soundtrack to that sequence of scenes I had just written. (I wasn&apos;t aware of the actual meaning of the song as intended by Sarah, so my subconscious was free to create a new meaning to it.) I then went back, to study all of the other scenes I had written, to see if there were other connections between the music I was listening to, and the story I was writing. Themes, scenes, lines, characters, and symbols had all been inspired by, and interwoven with, the music. Three musicians in particular—I call them the Magic 3—were Sheryl Crow, Sarah McLachlan, and Alanis Morissette. They weren&apos;t the only ones to inspire, but they were the major ones. As a tribute to the inspiration of the Magic 3, I have included in the narrative (and sometimes in the dialogue) of the novel itself, the names of the songs that inspired. I&apos;ve already given you the names of two of the songs. A third will be quite obvious, the name of the main character/hero at the beginning of the story, Mary Jane. If you combine the words of Alanis Morissette&apos;s "Mary Jane," from Jagged Little Pill , with Sheryl Crow&apos;s "Am I Getting Through"(part 1), again from The Globe Sessions , you will get a beautifully condensed, distilled, and accurate description of the character Mary Jane Chevalier. You will also come to understand, if you listen closely to Sheryl&apos;s "Am I Getting Through," a part of the meaning/significance of the dandelion on the book cover. The other part comes from the quote at the beginning of the novel by Gerry Spence, which you can find easy, fast, and FREE in 4 FREE CHAPTERS. So there. I&apos;ve given you four of the songs that inspired, and can be found in Saving The Innocents . The rest (and there are quite a few) are for you to find, dear reader. The story---It was the mid/late 90&apos;s, I&apos;m not really sure which year. I was working as a bartender, mid-week, and it was about an hour before closing time. The place was almost empty. There were only a couple of people playing pool when she walked in. She was in her twenties, attractive, quiet. She sat at the far end of the bar, inconspicuous, not wanting to be disturbed. I began with a few innocuous comments, my way of making someone feel at ease. She was uncomfortable, but began slowly to become accustomed to the surroundings, and me. Even though hesitant, I could see that she wanted to talk, a sense I had picked up somewhere along the line. This was her story. She (the young woman telling me her story) was 4 at the time, her mother taking custody of her after her parents had split up. The break-up was particularly hard on her mother. Her father had cheated on her mother with another woman. To add insult to injury, he then married that woman. The child was a constant, living reminder to her mother of the betrayal and pain. One beautiful spring day, her mother said that they were going for a ride in the country. The little girl was told by her mother to pack a suitcase, because they would be at it all day, and may have to spend the night somewhere. Excited, as any 4-year-old would be, the little girl scurried into her room to pack all of her favorite things. She threw the suitcase into the trunk of the car, and they were off. They drove out to the countryside, the road winding out through rolling hills and away from the city. As the day wore on, the mother thought of a game to play. She asked the child to look at the houses as they drove by, and imagine what it would be like to live in each one. She asked the little girl to pick the best house. They were deep into the country by this time, and the houses were a good distance apart from one another. After passing by several that didn&apos;t make the grade, the child spotted a house out away from the road, sitting off in the distance. That one, she said. That was her favorite. The mother pulled the car over to the side of the road. She got out, and walked around to the other side, opening the passenger door. She moved to the trunk, and retrieved the little girl&apos;s suitcase. She set the suitcase along the side of the road in the gravel, set the child on the suitcase … and drove away. The authorities didn&apos;t find the child for what seemed like hours, she wasn&apos;t really sure. She was still on the side of the road, next to the suitcase, undoubtedly frightened and shaken, most likely to her very core. Still waiting for a mother that never came back. What do you say to that little girl? The center of her universe leaves her in the middle of nowhere, defenseless and innocent. What do you say? I was of little use to the young woman. I was, at the time, just starting to figure out myself. I had nothing to give her. No sage advice. No pearls of wisdom. I did my best, but I had little affect. She vanished not long after---to this day I don&apos;t know where she is or how she&apos;s doing. Since then, I&apos;ve learned many things. I know what I would have told the young woman now, but I don&apos;t have the opportunity to say it to her directly. So instead, I&apos;ve chosen to say it to her through Saving the Innocents —through what Mary Jane knows and learns during the course of the story. Hoping that somehow, some way, some day in the not-too-distant future, Saving The Innocents finds her, and she finally knows. What I wanted to say to that 4-year-old little girl inside the young woman. Now comes the twist. About three quarters of the way through the first draft of the novel, it came to my attention (through a friend) that there was a question as to the truth of the story the young woman told me. It may not have ever happened. Not knowing, I decided to continue as though it did happen. If the story was true, if my friend was wrong, and I didn&apos;t continue, I felt it would be me leaving her out there all alone. Again. Or all of those out there in the world just like her. Even though both the inspiration and the motivation sound intriguing and interesting, there&apos;s still going to be a small group of readers out there who would be skeptical about a first-time author. To that small group, let&apos;s start with what would be your natural concerns. There&apos;s a lot of new e-fiction that&apos;s deluged the internet. Much of the criticism of these new offerings circles around quality, and what you, the reader, are accustomed to from traditionally published novels that go through a rigorous editing process to make the fiction stronger. How did I choose to handle this (for the most part) valid criticism? What makes Saving The Innocents , a debut New Adult digital novel from a new indie author, different from the rest? The short answer is that I, the author, ran Saving The Innocents through a rigorous and extensive filtering process. Namely, two successful, and very experienced veteran editors. Experienced veteran #1) Jeanne Martinet---from New York City, Jeanne worked as an editor for both E.P. Dutton and St. Martin&apos;s Press. Since 1990, she has been a freelance writer and editor. After the 1st draft of Saving The Innocents , Jeanne wrote a 27-page critical analysis, detailing both strengths and weaknesses. Experienced veteran #2) Cliff Carle--- Cliff was recommended to me by Claire Gerus. Claire was a former editor-in-chief of two publishing houses (F+W Publications/Adams Media, Kensington Publishing). She had recently retired from editing to start her own successful literary agency when I contacted her, so I went with her #1 recommendation: Cliff Carle. Cliff, from Los Angeles, has over 30 years experience in the publishing industry, has edited over 350 books, aiding 200 first-time authors in becoming published. Nothing substitutes for the cumulative knowledge of experience, or the precision of expertise. Jeanne and Cliff have both. Bracketed in the time between Jeanne and Cliff, I chose to learn from certain authors, using them as role models to understand not only what successful authors have in common, but specific elements I thought each author did well. Authors I&apos;ve learned from include John Grisham, Elmore Leonard, James Ellroy, Danielle Steel, Lisa Scottoline, Dan Brown, and Mickey Spillane. I&apos;ve detailed some examples of what I&apos;ve learned from each of the above authors in a section labeled (not surprisingly) "Writers," on the webpage "GRATITUDE," where I show aspiring or current new authors what I&apos;ve learned (so far) in this process of becoming a novelist. (The beginning of learning something new is always the most difficult, and since my experiences are fresh, because I just went through it myself, who better to chronicle the journey?) Of special note in this learning process are the two authors that wrote detailed books concerning many aspects of writing, the aforementioned Stephen King ( On Writing ) and Orson Scott Card ( Characters & Viewpoint ). Both books are very dense with practical and applicable advice about the difficult task and craft of storytelling. Any aspiring writer will glean multiple pearls of new capability from these works. Along with the previous quality filters, and the above role models, what other value have I added to Saving The Innocents ? Besides crafting the tale with a hero&apos;s journey story structure, proven over time to be a favorite among all human beings, I&apos;ve also given it depth through multiple layers. You can enjoy not only the quick tempo of the plot, but the deeper meanings beneath. Character&apos;s names, objects, and symbols have all been chosen to define this deeper level, giving the story greater meaning. Character&apos;s names, for instance, have meanings consistent with the parts they play in the story. Sera (short for Seraphim), Delphia (the oracle), and all the other major characters have names which describe what they are in the story. Let me give you an example. Chevalier, the last name of our main character/hero, is a French name from the 11th century, meaning "horseman;knight," which then developed over time into "chivalry." Chivalry is the knight&apos;s code of behavioral conduct, especially during the Crusades, which called upon respect for the church, protection of the poor and the weak, loyalty and devotion to one&apos;s companions, and preservation of personal honor. Mary Jane is imbued with all of these qualities throughout the story. She, quite simply, is a modern day knight. The rest of the names and meanings I&apos;ll leave for the reader to enjoy finding. As for objects and symbols, an illustrated example found in the story can also be found on this website. On the Gratitude page is an overexposed (on purpose) black & white illustration of our hero, Mary Jane. If you look closely, etched into the collar of her coat is the word veritas, which is latin for truth. In the story, Mary Jane is in search of her father, and the truth about what happened to her as a child. What else would come to a skeptic&apos;s mind where a new writer is concerned? How about examples of his actual work? What would help a reader "get into" the story more than hitting each of the senses? Let&apos;s go ahead and do that right now, with examples pulled from Saving The Innocents . ". . . Her precision astounded him. After being soundly beaten four games in a row, he succumbed to instruction—in part because he wanted to learn her skill, but mostly because the instruction involved touching, her delicate fingers coming into contact with his hands and arms. She was close enough at times she could have rested her chin on his shoulder. She didn&apos;t, but her velvet soft cheek, when it brushed lightly against the side of his neck once, sent a tingling down his spine. It was all he could do to keep his composure." How about the kinetic feeling of speed? ". . . She flew down the hall, blew through the back door and up the steps three at a time, hurling herself down the alley toward the sound of the train. She closed the gap, whipping by a block and a half of small houses. She broke into the field, and noticed a direct line of trampled down grass and weeds angled directly toward the train tracks on the field&apos;s far side. Her breathing deepened, her stride strengthened. Camille forced her way through, the grass and weeds yielding to her speed, the waves of green parting under the blistering pressure. She could see the train from the middle of the field. Half of it had already passed by. She growled, calling for more adrenaline. Her body surged again, the pace of her long stride quickening. She pumped her arms with an extended force, the pounding of her feet firing across the ground, thumping with a relentless will." ". . . The first two seconds of searing crackle of the thunderclap sounded like dry, splintered oak being pulled apart slowly down the middle. It morphed into a deep rumble across the night sky—as if someone had dumped out an enormous sack of potatoes across miles of wooden floor. Mary Jane turned her head slowly skyward, her face lighting up when the flickering flashes of lightning scattered across the blackness. ". . . The sound was like a bumblebee as it split the smoke-filled air. She swung her body around with a gathering force, and brought the cue from behind her like a broadsword—the way a Viking marauder would in the long ago of Scotland. The wooden blade made a thunderous crack into the side of the big man&apos;s knee, the cue splitting apart, the tip snapping off and skidding into the base of the bar. The support to the man&apos;s body buckled, and the offending foot over the picture came up off the floor. His mouth went agape. He grabbed the knee with both hands and went down to the floor, was halfway back up when the next blow came. She had flipped the cue again, catching it just above the jagged and splintered end, reversed her hands and again swung it like a sword—this time left-handed—the thick heavy end coming around. It caught him solid across the jawline and turned his head nearly around. His dense body landed with a deadening thud, and dust from the cracks in the floorboards puffed out into the room, sending the cockroaches scurrying for cover." How about the sense of smell? ". . . A businessman, working late into the weekend, was on his way to the bathroom. His umbrella was covered with beads of rainwater from the storm outside. When he walked by, she drew her head back. The cheap cologne he wore descended on her like a cloud of bad judgment. Mary Jane decided that he probably thought he was going to get lucky—but he actually smelled like one of the hookers." ". . . She slipped on the cotton jacket, and pulled the large violet hood over her head, her face disappearing inside the thick cloth. Her breath slowly filtered out of the hood, the light gray moisture dissipating as it hit the crisp morning air . . ."
". . . Although it was April, it wasn&apos;t apparent from the chilling, steady wind that coiled through the streets between the old, deteriorated buildings on her end of town. Gently swirling clouds of mist billowed up from the city&apos;s underbelly, through the metal grates, the steam rising into the dark, morning air." In the event you are still hesitant, even after the short examples above, that&apos;s where the 4 FREE CHAPTERS comes in. I openly admit that it&apos;s a risk trying out a new indie author. That&apos;s why I&apos;m giving you 4 FREE Chapters, instead of just 1, like most authors. These chapters again, are RISK FREE. I want you to see the quality of the writing (and editing), and have a large enough of a sample to judge whether or not you "get into" the story and Mary Jane Chevalier. If, after you read them, you decide the story isn&apos;t for you, no biggie. If that&apos;s the case, but you know of family members or friends that might enjoy getting into Mary Jane and Saving The Innocents , why not score some points with them? Simply pass along those 4 FREE CHAPTERS. They&apos;ll appreciate the gesture, and if they get the entire novel, they'll enjoy a couple of days to a week (depending on how fast they read) of pure story pleasure. • The double-editor quality filter. Jeanne Martinet in New York. Cliff Carle in Los Angeles. A combined 60+ years of experience and expertise in editing. A 27-page critical analysis from Jeanne in the beginning. A detailed, precise, and thorough editing by Cliff at the end. • Specific story elements, construction, and craft role-modeled after successful and popular authors. • The hero&apos;s journey story structure. The favorite of human beings everywhere. • Deeper meanings. Objects and symbols. Names of characters, which provide insight into what each character is, and how they relate to the tale. • The story behind the story. Motivated by what (perhaps) happened to a small child, and by what has actually happened to many of you, that caused my conscience to continue to stir until Saving The Innocents became a reality. • And here&apos;s the best benefit to you of all: Feelings. Multiple feelings. Experience internally everything through Mary Jane. What she herself goes through. Feel yourself laugh and cry. Feel the power when Mary Jane acts. Feel the love when Mary Jane loves. So, there you have it. WHY STI. Let my conscience merge with yours. What story was just mine in the beginning, can now become yours in the end. From my mind to yours. His to hers. Curl up and experience Mary Jane Chevalier for a few pleasurable days. A week. Perhaps even a couple of times each and every year in the future (when you forget the details, and want to do it all over again). Feel the power at the beginning. Feel the love at the end. Both were proudly: MADE IN THE U.S.A.
SHARE THIS PAGE WITH WHOEVER YOU KNOW THAT WOULD LIKE A GREAT READ! BUTTONS BELOW!